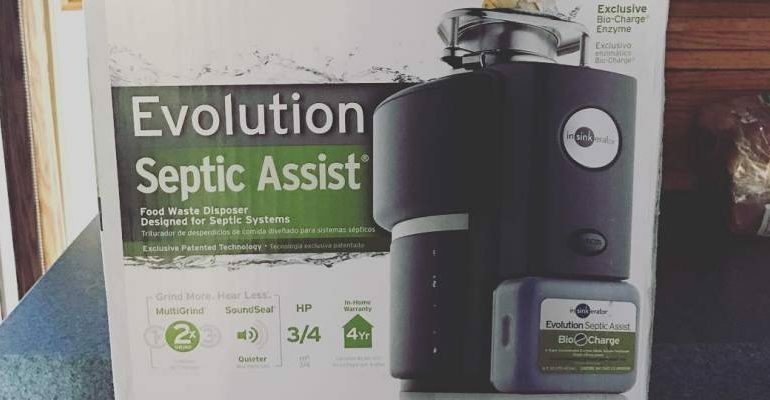 When your garbage disposal quits working, not only does it disrupt your day, it also can be quite a pain in the neck trying to figure out what exactly the problem is. If you’re inexperienced when it comes to home improvement projects, this can be a little difficult. Follow these easy tips when your garbage disposal not working, so you can get back to your daily routine as soon as you can. When your garbage disposal is not working, and it won’t even make the slightest sound, the first thing you want to do hit the reset button. This button is usually located under the sink. If you cannot find it, you’ll want to reference your user’s manual. Once you find the reset button, push it, and see if it does the trick. If your garbage disposal still doesn’t work and makes no noise at all, the problem is more than likely an electrical issue. In this case, start by unplugging the unit. Once you have it unplugged, try plugging in a few different appliances into the outlet that your garbage disposal was plugged into. If the appliances don’t work, then you know you do in fact have an electrical issue. First, go and check your home’s control panel. Look to see if a breaker was tripped. If the breaker that powers the garbage disposal was tripped, flip it back on. On the other hand, if you see that the breaker was not tripped, this means that either the switch on your garbage disposal has gone bad or the unit itself is simply unfixable. In either case, you’ll want to call a repair man unless you have the experience to either install a new unit or repair the switch yourself. 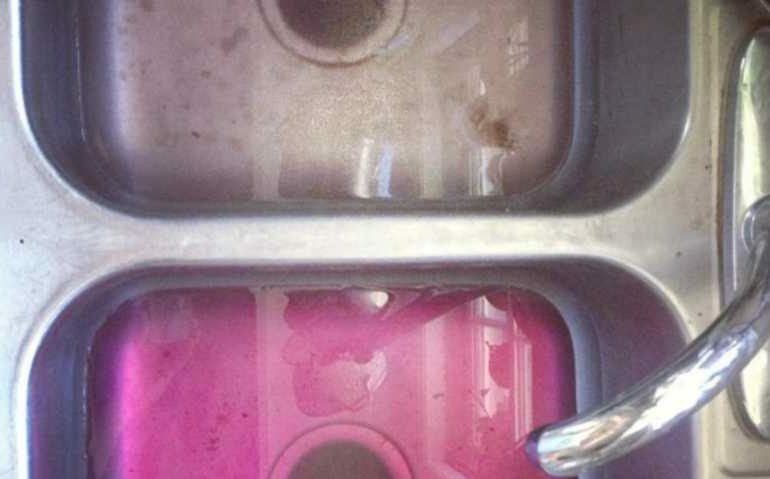 Another reason why your garbage disposal might not be working could be because it’s overheated. You’ll notice the humming sound. This usually happens when your garbage disposal has been overfilled. As a result, it may trip itself off and quit working. You might even see smoke if you keep trying it. If you do, turn it off immediately. This means you’re burning the motor out. To resolve this issue, you’ll want to locate the red reset button on the bottom of your unit and press it. If you do not know where this button is, check your user’s manual. If hitting the reset switch doesn’t eliminate the blockage, you’ll more than likely have to remove the blockage manually. This can be done with a broom or another tool, but never stick your hands down and into the garbage disposal. If this doesn’t work, the flywheel may be struck, and in that case, you’ll have to come up from the bottom. Is your garbage disposal humming but not working? Inspect the bottom of your garbage disposal for a home that has a hex-shape. Equip yourself with a ¼ inch hex wrench and make sure it fits into the hole. If it doesn’t fit, find a size that does. Once the hex wrench is in the hole, move it back and forth. This allows you to remove the impellers. Once the impellers have been removed, you some sort of tool to remove the blockage. You can use tongs or even pliers. Once the blockage has been removed, use the hex wrench to put the impellers back the way thy were. Turn the power back on your garbage disposal. If you’re unable to remove the blockage, the disposal may have to be removed. Unless you are experienced with this sort of thing, it’s recommended that you call a professional to have this resolved. It’s important to note that you should never use chemicals when trying to remove the blockage. Using chemicals can not only release toxic vapors into the air, chemicals can also cause damage to your garbage disposal. To prevent your garbage disposal from breaking down in the future while also extending the life of it, follow these easy yet effective tips. Make sure you run enough water down your garbage disposal when you’re grinding something. By running enough water, you’ll effectively wash all the ground up waste out of your garbage disposal and keep it clean while preventing a build-up. It’s recommended that you run your water 30-seconds after you’re done grinding up something. Avoid grinding egg shells and coffee grounds. These small particles can easily get stuck and cause a blockage. Throw potato peels and banana peels in the garbage. Just like egg shells and coffee grinds, potato peels and banana peels can also clog up your garbage disposal. Never grind metal, plastic, bone, glass or rubber with your garbage disposal. A good rule-of-thumb is to stay away from grinding up hard materials. Never overfill your garbage disposal. Even if what you’re grinding is perfectly safe, overfilling it can also cause your unit to overheat, stop working or breakdown all together. Incorporate a drain strainer to help prevent unnecessary blockages. To make your garbage disposal smell great while also keeping it clean, grind up a lemon and a few cubes of ice every now and then. It also really helps to run warm water while you’re doing this.